You only have to look at the number of beautiful invitation cards lined up on the bookshelf above my TV to know that wedding season is well and truly upon us. And while Norfolk is rife with Wedding Shows and lovely shops to buy the most expensive frock you will ever own, there is a very little help out there for organising the hen do, particularly if want to avoid getting on a plane – or train. A month ago, my friend Ali and I discussed this very subject over several beers (she is getting married this July and is looking for ideas for own hen do). They say two heads are better than one and, by the time we had sunk our first pint, we’d come up with so many great ideas for avoiding the tacky pub crawl adorned with tiara, L-plate and inflatable naked male doll that I had to get my notepad out. So, here – courtesy of two pints of Peroni – is our round up of the 13 best alternative hen do’s. You’re welcome! OK, so betting probably isn’t the best way to start a marriage, but Greyhound Racing is exciting, fun and relatively good value, depending on how many bets you place. You can book indoor, luxury spaces to watch all the action, and also enjoy a three-course meal, complete with as much fizz as you can handle. Yarmouth Stadium runs thrice-weekly races on Mondays, Wednesdays and Saturdays, from 6.30pm. Hen parties don’t have to take place in the evening, and what could be better than drinking a glass of fizz in the lush countryside, sun beaming on your face (hopefully) and you sporting a fancy hat? The Norfolk Polo Club will host its annual Polo Festival on 8 & 9 July with options to upgrade to VIP hospitality. £75 per person buys VIP parking near the racecourse, Pimms and canapes on arrival, a three-course silver service lunch courtesy of Brasteds, a fundraising auction and front-row seats to watch the action on the track. Yes, yes, it’s a man’s world and, yes, you will find more men than women on any golf course anywhere in the world, but, golf courses are beautiful, the club houses luxurious and the game played in the great outdoors (lots of walking involved, too). A great afternoon could truly be spent wielding a nine iron with your gal pals. Unsurprisingly, Norfolk has over 30 9/18-hole, championship courses and driving ranges, so simply get on Google and take your pick, birdie. Craft beer has never been more popular, and Norfolk is home to a fair share of well-revered breweries that you can tour, with some ubiquitous testing to boot. St Andrew’s Brewhouse in Norwich runs tours of its brewery, as does Redwells in Trowse Millgate, Panther Brewery in Reepham, Iceni Brewery in Thetford and Woodforde’s in Woodbastwick. Expect to pay around £10-£12 for a 1-2-hour tour which will include information about the ingredients used, an explanation of the brewing process, a bit about the company history and, of course, some tasting. Cheers ears. Could there be a more perfect hen party idea than glamping? The tents are a pristine white, they sleep 10 people and they are generally clad in pretty bunting. Set in rolling countryside, near pristine beaches or with watery views, spend the day cycling, walking or pub lunching; come evening, light the BBQ, get out the wine and marvel at those beautiful Norfolk stars. We recommend 2Posh2Pitch – if only for the clever name – which has three sites to choose from, some with a Prosecco bar. Any restaurant worth its salt should be offering cooking demonstrations these days – they pull in the big bucks (and the Celebs), and encourage punters to book time and time again. Michelin-starred, Norwich-based restaurant Benedicts (incidentally winner of Best Restaurant in last year’s Muddy Stiletto Awards) runs regular cooking classes, with this year’s crop scheduled for 8 March, 12 April, 10 May, 11 October and 8 & 29 November. Prices start at £60 per person (or hen in this case) and include a three-course lunch and a glass of wine. Another Muddy Award Winner (this time for Best Casual Dining option) is Life Less Ordinary, an Italian-themed Supper Club run in Aylsham. More intimate than a restaurant, Supper Clubs are everywhere these days – and rightly so. Book the entire evening’s seating for your party and you will have the whole place to yourself, complete with waiters and wine. What’s not to love? As someone that can’t even play Pictionary, I’m not a fan of art classes, but when they take place a bar with great music and a great selection of drinks that you can sip while you’re getting arty, then I’m in. 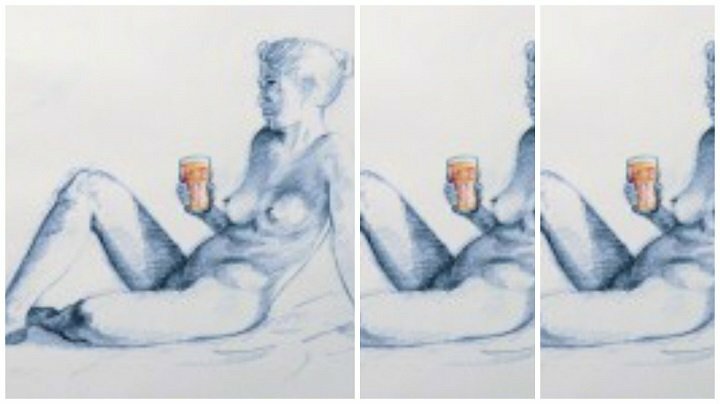 The Birdcage runs a regular Life Drawing class – cheekily called BUMS – which is hosted each month. The next one is scheduled for 7 March. The bar also serves lots of different cocktails to spice up the hen party – just try not to dip your paintbrush in the wrong glass! While researching this one, I was surprised at how few actual dedicated karaoke venues there are in Norfolk – the majority of the fun taking place in pubs. Tacky, yes. Out of tune, certainly… it may not be everyone’s cup of tea, but singing – good or bad – is absolutely great for the soul, particularly when the wine is flowing and your Bessie mates are screaming into the microphone with you. If this sounds like your idea of a hen do, then visit this site to find a pub with a karaoke night near you. Belt it out, sister! No don’t go… we will get back to the more quirky stuff in a sec, promise. You just can’t write a piece like this and discount ten-pin bowling. From the silly shoes to the cheap beer, and from the burgers to the bad bowling, it’s great fun. 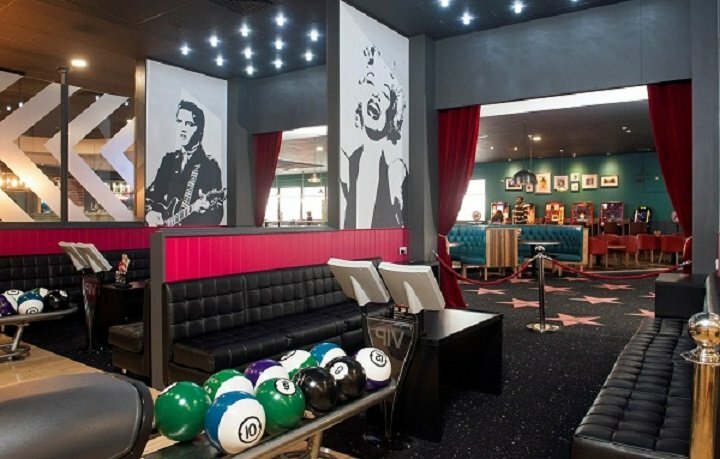 And Norwich’s Hollywood bowl has VIP lanes on offer just for special occasions like this one: a luxury roped off area with lounge-style seating, your own dedicated waitress, Superstar-styled balls, pics of a Hollywood star on each lane and funky coloured pins to knock down. Who would have thought somewhere as flat as Norfolk would have a ski slope – not me! Just outside Norwich, in a tiny village called Trowse Newton, is the Norfolk Snowsports Club, where revellers can Tube, Ski or Snowboard all year-round. Grab your girlfriends, grab your skis (provided) and try not to kill yourselves on the way down. The bars and restaurants of Norwich are just a 20-minute walk away, perfect for a spot of Dutch courage or an apres-ski tipple – even if the slope is dry, the day won’t be. With The Broads occupying a large chunk of the county, there isn’t much fun that can’t be had out on the water. Whether it’s hiring a yacht, a canal barge or a sail boat; paddle boarding; or kite surfing, it’s all to play for in Norfolk. From serene days out on sail boats – skippered or otherwise – to extreme sports, an unforgettable (not to mention wet) day out is guaranteed. 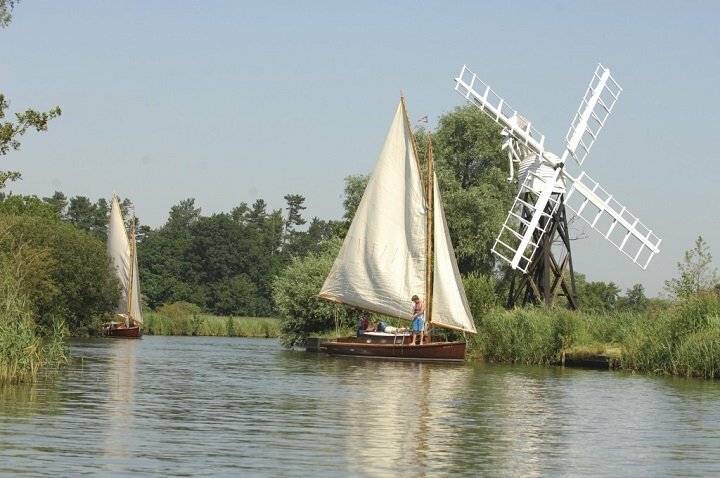 The Norfolk Broads is an obvious place to start for boating, while watersports can be done all over, including Hunstanton, Reepham and Trowse. Just don’t blame us if you fall in! Get that adrenaline pumping – and race/chase your friends – with a few laps around a racecourse. There are three adult tracks to choose from in Norfolk: Anglia Karting Centre in Swaffham (originally part of RAF North Pickenham), Karttrack in Cromer and Karting Nation in Northrepps, each supporting group bookings. Sessions generally last 15 minutes, with two bookings per person the norm. Overalls, helmet, and gloves are provided. I would like to highlight two local events to you, NEW for 2017, Orchestral Picnic Concerts at Cromer Hall. Maybe a great idea for local hen dos? Two relaxing picnic concerts set in stunning parkland overlooking the north sea. An evening of fantastic live music, new to Cromer Hall this year. The music of ABBA on Sat 5th August and The music of Elvis on Sun 6th August. The world renowned tribute act ABBA Revival join forces with Philip Mackenzie and the BSO for this never before seen musical spectacular. Hear all the music you love played by a full symphony orchestra with vocals by one of the worlds best ABBA tribute acts and fantastic classical singers. Gordon Hendricks makes his Norfolk debut to star with the world class British Symphony Orchestra to form the ultimate Elvis tribute night. Hear all the King’s classics in full symphonic glory with the voice of the truly remarkable, Gordon Hendricks. If you could list these fantastic local events it would be much appreciated.